So you’ve entered the world of social enterprise, using your time, money, and effort to further an important cause that can make our world a better place. Here at Emergent Digital, we think this is a highly noble endeavor. We began this business to help anyone involved in social enterprise or the nonprofit sector grow and thrive online through the power of digital marketing. Going into business to promote social good is an undeniably honorable undertaking. However, you are now likely faced with a myriad of challenges. No matter what industry your social enterprise company is engaged in, we know the issues you probably face. For startups, small businesses, and nonprofits, there are a common set of problems for getting off the ground. Social enterprises are typically strapped for cash and must employ a lean digital marketing strategy in a competitive marketplace. This is unfortunate because the altruism of social enterprise can be overshadowed by the need for startup capital. However, the success of your company is inherently tied to impact made on our global community. By succeeding in this competitive marketplace, you make a greater impact and promote social good to a higher degree. The Emergent Digital team has compiled a list of simple, cost-effective digital marketing tips for social enterprise. To succeed and make an impact online without breaking the bank, follow these three tips for finding growth and profit. Social media marketing is one of the most cost-effective ways for social enterprise to make an impact on the digital community. 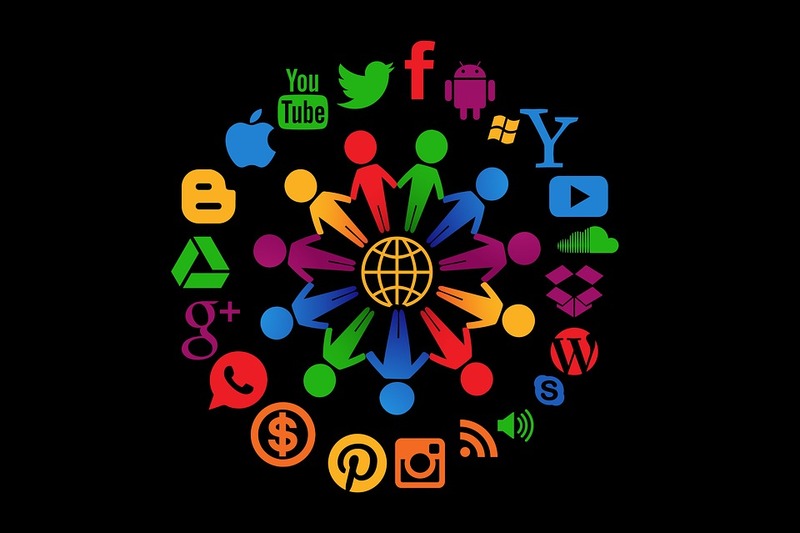 There is no inherent cost associated with setting up a social media account on any of the most popular networks, but you do need to consider the resources required to undertake the work. Furthermore, there is a massive and active following on these major social channels. 1.18 billion users visited Facebook on a daily basis in 2016, followed in second place by Instagram with over 100 million active daily users. Not only do major networks boast an extremely active daily audience, social media use is actually on the rise as well. Social media use increased by 21 percent in 2016, adding to an already vibrant and engaged community of users who use these channels to interact with their favorite brands. Choose the right social networks. Don’t try to start a presence on every social media channel. Stay focused, choose only 1-3 networks that work best for you. Stay focused and consistent. You can’t just set up a Facebook profile and assume your work is done. To build an engaged audience for your social enterprise company, you need to post interesting content on a consistent basis. This is why it’s so important to choose only a few social media networks to start out with. Try to post on Facebook once a day and, if you have a Twitter account, you may want to Tweet multiple times daily. Each social channel has different rules for media saturation, so do your research first. No matter what your content posting schedule is, be consistent in your delivery. Engage your audience. Once you have built a following for your social enterprise, stay engaged with your audience. If you receive a message or comment on social media, like it and respond immediately. If you get new followers, you may thank them for their support for your cause. Cultivating a high-quality presence for your social enterprise company involves staying both consistent and actively engaged with your supporters. While your social enterprise may be looking for a lean digital marketing strategy with low costs, some paid search advertising can provide a great boost early on. Even through organic social media marketing is a great way to establish an online presence with great ROI, these channels are becoming increasingly ineffective without paid efforts. Facebook is essentially a “pay-for-play” network for advertisers, with organic reach plummeting in recent years. However, this marketing channel provides superb audience targeting for paid advertising campaigns, which is one of the most important aspects of a solid paid strategy. Paid search advertising is still an incredibly effective method for social enterprise marketing. With highly-targeted campaigns on Google or Bing, you can gain new business quickly without spending your entire advertising budget. Perform in-depth keyword research. Behind any successful search advertising campaign, there is sure to be excellent keyword research. Before you pour money into PPC-based digital marketing efforts, identify what your target audience is likely to search for. A high-quality keyword strategy is critically important for content marketing, SEO, and social media as well. Clearly define your conversion goals. What do you want to accomplish with your paid search campaign? Where do you want visitors to land when they reach your website? Conversion goals help you track your success and measure the impact of your social enterprise. These can include lead capture forms, getting phone calls, or completing an online purchase through an e-commerce platform. Continuously revise and optimize your search marketing campaign. After you define your budget, write excellent ad copy, and devise a targeting strategy, it’s time to implement your paid advertising campaign. However, this doesn’t mean your work is over! For effective social enterprise marketing, make sure you use data, analytics, and insightful metrics to learn what works and revise your campaign accordingly. We hope this helps your social enterprise make an impact on the digital community and make our world a better place! If you need any help with growing your business for social good, please contact the friendly Emergent Digital team today.